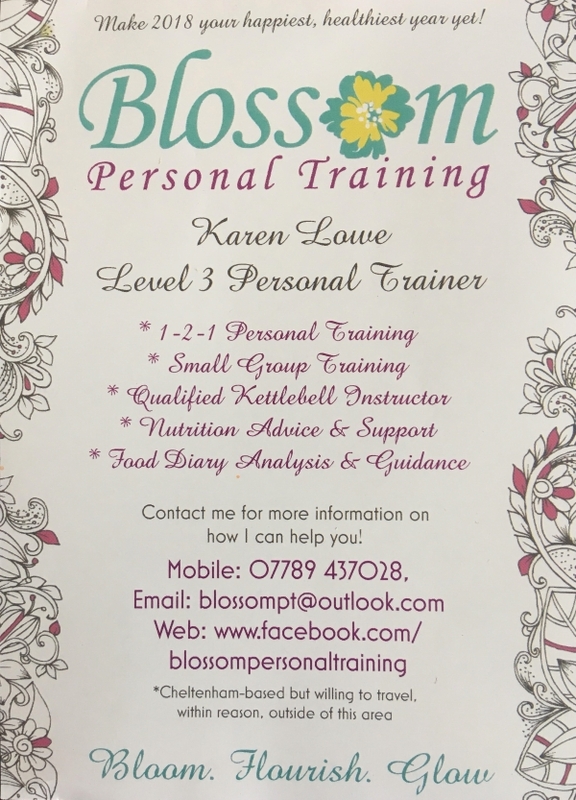 It is the aim of Blossom Personal Training to encourage, motivate and inspire my clients to become the best versions of themselves through a commitment to a healthy, balanced lifestyle. I focus not just on aesthetic results, but also improving mental well-being, confidence and self-esteem. Exercise should be enjoyable and fun, as well as being challenging, therefore I like to incorporate both of these elements into our training sessions to ensure clients gain the maximum benefits. Blossom Personal Training is committed to helping clients achieve their goals, and ‘blossom’ into the happiest, healthiest versions of themselves. Personal Trainer based in Cheltenham.